The CPEC Tower in Islamabad would be the tallest building in the capital. 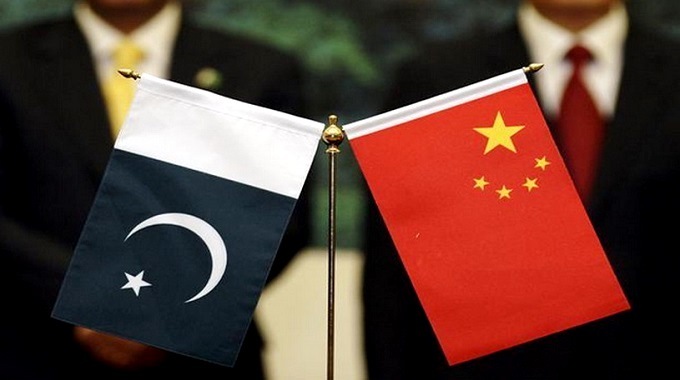 Pakistan government has announced to build a ‘CPEC Tower’ in Islamabad which will serve as a symbol of socio-economic progress and epitome of Pak-China friendship. When completed CPEC Tower would be the tallest building in the federal capital, Minister for Planning Development and Reforms Ahsan Iqbal said. The establishing of CPEC Tower has been decided in a meeting chaired by the Minister of Planning Development and Reform Mr. Ahsan Iqbal, Senior officials from the PD&R, other line ministries and departments attended the meeting, the decision is reached to build the CPEC Tower in the capital city Islamabad. A high level committee to be formed, Member Infrastructure, PD & R Malik Ahmed Khan have been appointed head for the committee and tasked to work on the proposed CPEC tower. The process for the mega tower in Islamabad will start with a feasibility study before land for the tower is acquired. The aim for building the Tower is to attract maximum investment in the country. The tower will be the tallest building in the city and will serve as a symbol of socioeconomic progress Pakistan is making across all the fronts. The iconic tower would attract investors and serve as a symbol of branding Pak-China Friendship. While speaking on the occasion, Mr. Ahsan Iqbal said that the directions were given to conduct a feasibility study after identifying a suitable site. It was further directed to acquire the land in the light of feasibility study. “Committee should sit with relevant departments to resolve issues of building codes and regulations” said Minister Iqbal. Minister Iqbal stated that “the initiative will provide facilitation to Chinese and other investors from around the world”. He further said that “the tallest building would help in image building of Islamabad as a sustainable and vibrant city thriving upon entrepreneurship, science and technology, research and development, finance and culture. CPEC tower should be equipped with state of the art hotel, office spaces, commercial spaces and modern facilities”. “CPEC tower would be equipped with state of the art hotel, office spaces, commercial spaces and modern facilities” the minister added. An official of the CDA said it was yet to be decided where the tower would be constructed. “The project is at the initial stage, various sites are under consideration. We are also looking for a site in Mauve Area near Kashmir Highway and sector G-6”.